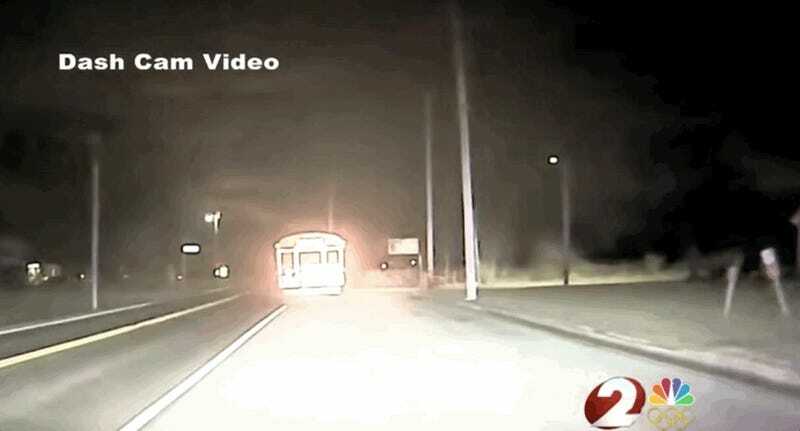 Two men, apparently not on drugs, stole a school bus early Wednesday in Trotwood, Ohio, eventually leading cops on a pursuit that got to 54 mph, according to police. It all started as a trip to Walmart. Keener and Knisley were both charged with receiving stolen property, though police said more charges may be coming. Police are still investigating how the two (allegedly) obtained the bus’s keys. The bus was found after a cop working the graveyard shift saw it going down a local road around 3 a.m., which struck the officer as odd. After following it for a bit, the officer tried to pull it over for a traffic violation. That’s when the bus drove off. The lesson here is, if you’re going to steal a vehicle and lead police on a car chase in the early hours of the morning maybe grab a vehicle that isn’t bright yellow, over 12 ft long and is only out during the day.